Hi, Im Larry! What is a wild animal like me doing at a site that supports Coprescos digital on-demand book and manual printing services? 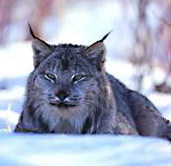 Who better than a lynx in the snow to spread the word about all the cool links to be found in this section of www.copresco.com? There are a lot of links here! Before you delve in, you might want to read my links statement of purpose/faq page. Because this area covers such a wide range of links, we have broken them up into categories. They are listed below in approximate order of importance. Of course, importance presumes that you are interested in digital on-demand printing! Make it a point to check this section regularly. The health of your business may depend on it! and please follow @larrythelynx on Twitter or friend Larry TheLynx on Facebook to find lots more links as I track them down. Copyright © 1996 - 2010 by Copresco All rights reserved. Lynx photograph ©John Herbst.